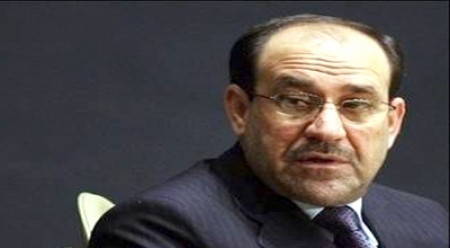 Baghdad / Iraq: Al-Mustaqbal newspaper Baghdadi / Yousef Salman confirmed the parliamentary Finance Committee that the current government of Prime Minister Nuri al-Maliki did not provide the House of Representatives in any of the final accounts of the previous years 2004 – 2012 so far, and no plans to send statements of the current year before the adoption of the general budget, which did not reach until now. said Rep. Najeebeh Najib’s «future» yesterday that parliament had not received the final accounts of the budgets of previous years in its final form by the government so far, and what came purely out just reports to the Audit Court since the year 2004 – 2013, which is not considered final reports for not approved by the Council of Ministers. added Najib said all final accounts for the previous years is validated by the Council of Ministers and insignificant it because it was drafted through the notes and checks for the Office of Financial Supervision and presumably the government taking these comments and modified before sending the final accounts to parliament for approval. showed that ministers Finance and Planning informed the parliamentary Finance Committee that many of the important documents draws far burning building of the Ministry of Finance during the bombings three years ago. accused member of the Finance Committee, the parliamentary government of committing breach of constitutional and legal, after failing to make the final accounts of the budgets of the former so far, despite the fact that Parliament approved the request of the government during the year 2012 to extinguish the predecessor government, amounting to about 33 billion dollars. She pointed out that all the surplus financial budgets allocated to ministries and state departments are back to the government and then attached with the new budgets are sent to the concerned authorities. In turn, said MP Ahmad electrodes that the Iraqi government during the past four years and the previous state did not provide any of these accounts despite repeated requests from Parliament what is an explicit violation of the constitution and an error borne by the government alone. He said electrodes for «future» yesterday that the government would not send the final accounts and Sttherb of this matter and will be the beneficiary after provoked disputes with partners in order to find her a suitable platform for the upcoming elections.